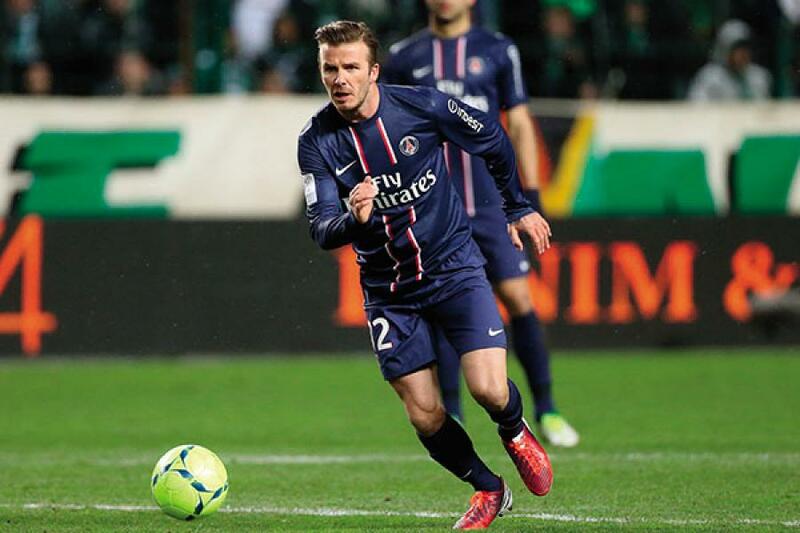 Last year, David Beckham made bigger bucks stripping to his skivvies than he did winning on the pitch. Lucrative endorsement deals, like his infamous underwear ad for H&M, made up nearly 90 percent of his 2012 haul. But good play still means good pay. 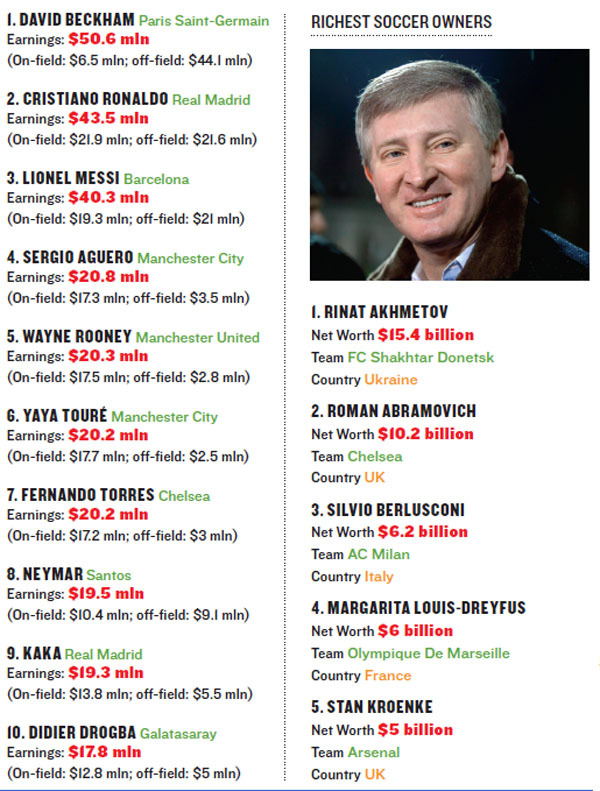 Barcelona’s Lionel Messi, four-time world player of the year, recently signed soccer’s richest contract. His salary, coupled with a coveted Adidas deal, could soon make him the top scorer off the field, too. You, too, would give the shirt off your back for this cash. Prices for the world’s most valuable marketing real estate (per square inch, that is) have become too rich to refuse. Even Barcelona, which went 113 years without a jersey sponsor, caved to Qatar Airways this year. Man U’s upcoming seven-year, $559 million Chevy deal should keep the owners cool under the collar.